Published December 15, 2013 at 694 × 900 in PORTFOLIO. Second Grade is Spinning. 2013. 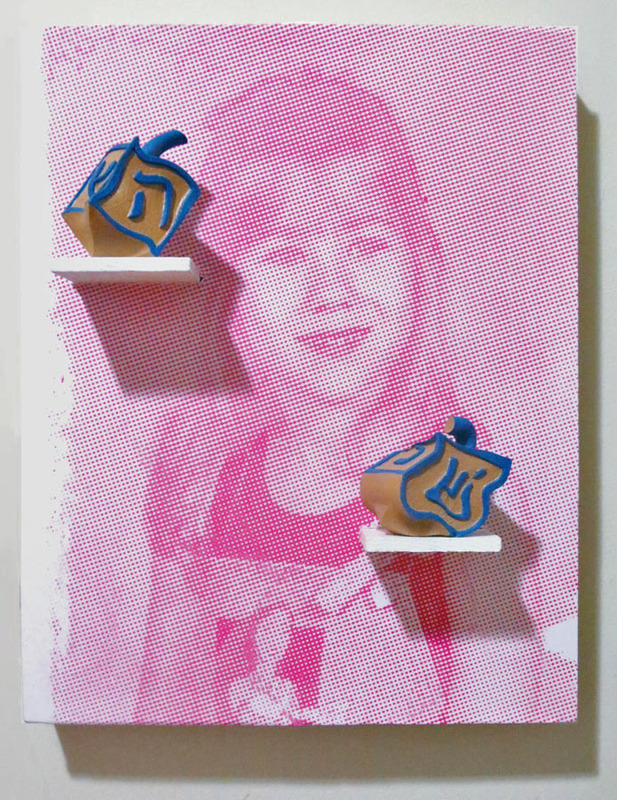 Acrylic print, wood, 3D printed dreidels, enamel. 14 x 11 x 3.5 in.